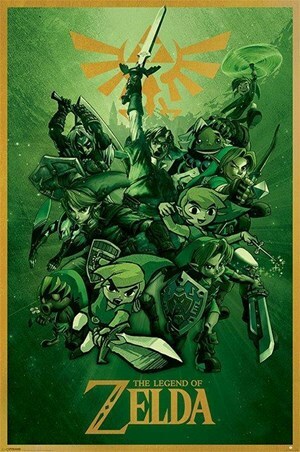 Children’s Maxi Poster: It’s time to suit up with this retro gaming poster! 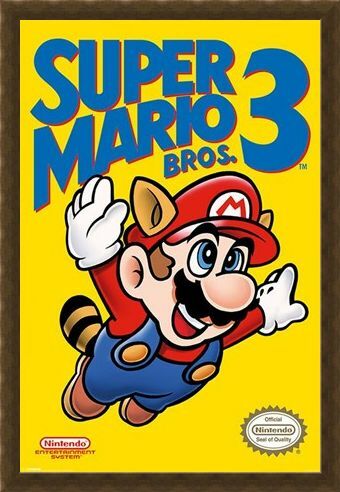 Released in 1988, Super Mario Bros 3 was the third game in the iconic Nintendo series and this awesome poster features the cover art for the computer game. 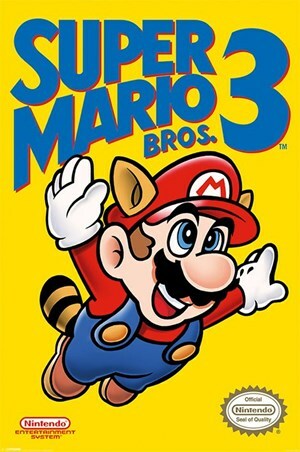 Flying through the air with his raccoon costume on, the little plumber embarks on another adventure through the Mushroom World. 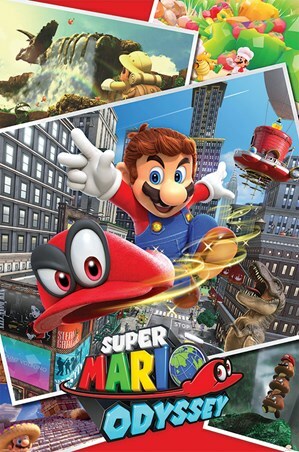 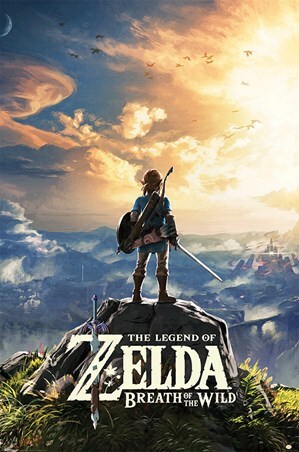 On a mission to save Princess Toadstool, with the help of his brother Luigi, the sensational character runs, swims and jumps his way through a 2D map which is filled with never ending Koopalings and Big Berthas. High quality, framed Super Mario Bros 3, Retro Gaming poster with a bespoke frame by our custom framing service.